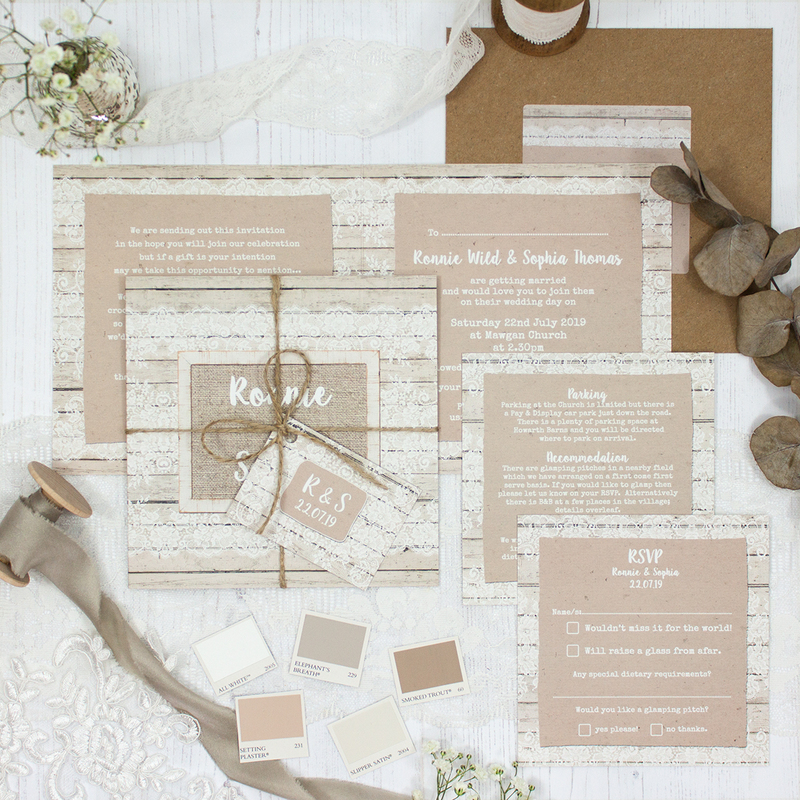 Wedding invitation sample pack including an RSVP, info card, string and tag, envelope and label in the Natural Elegance Collection design. Inspired by grand wedding barns of the Great British countryside. 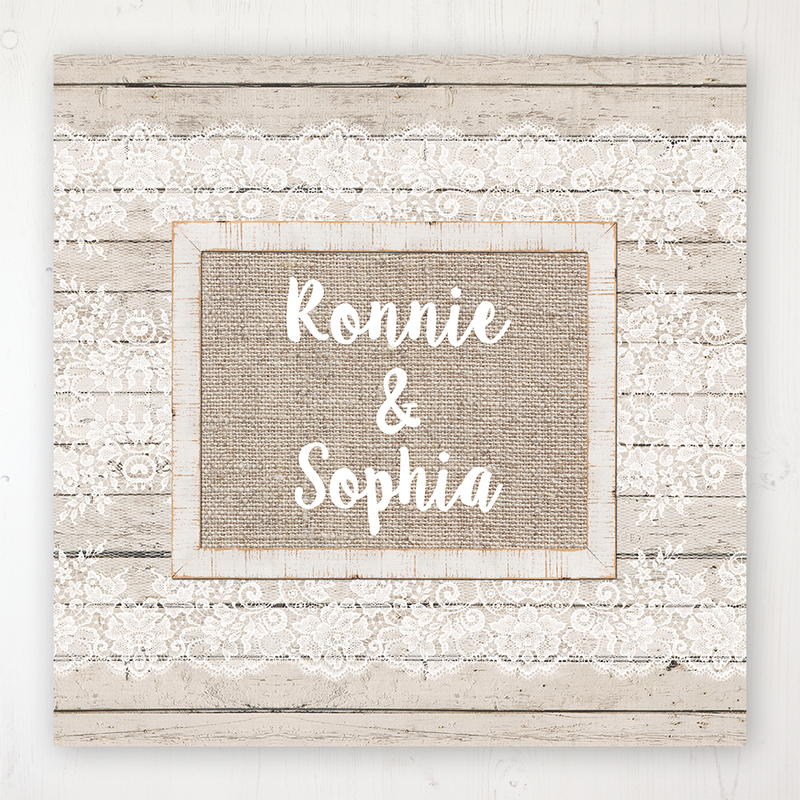 Understated and delicate with rustic wooden textures and ornate lace. This collection would suit any colour scheme with its muted warm tones depicting an overall look of natural elegance.